Heard of the ‘wealth gap’? It’s become a common buzzword in recent years, particularly here in New Zealand. Folks like that idealise this mythical world where everyone earns the same wages and holds the same amount of taxes. Unfortunately, we’re pretty far off from that egalitarian utopia. According to Oxfam’s report earlier this year, New Zealand’s top 1% holds 28% of the wealth. And the bottom 30% holds just 1%. Strong words. And it fits with the mainstream message that, by simply owning wealth, people like you are propagating ‘poverty globally’. But, for me, that never sat right. Why should a 65-year-old who has worked hard for 45 years, built up skills and experience, taken risks, invested and saved responsibly have the same amount of wealth as an unemployed teenager who plays video games all day? That doesn’t make sense. Those who have worked the most should have the most. You put in time and energy; you get out wealth. There’s your equation. Additionally, it’s not a linear story. Over time, you make sacrifices (saving) and take risks (investing)…so you make the money work for you. 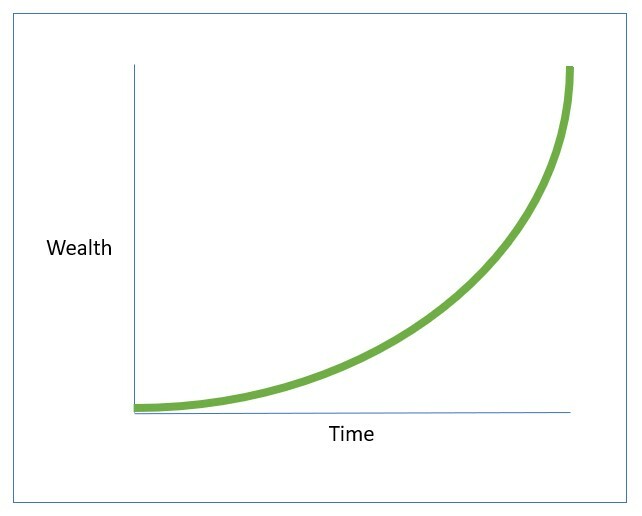 That in turn generates greater wealth. 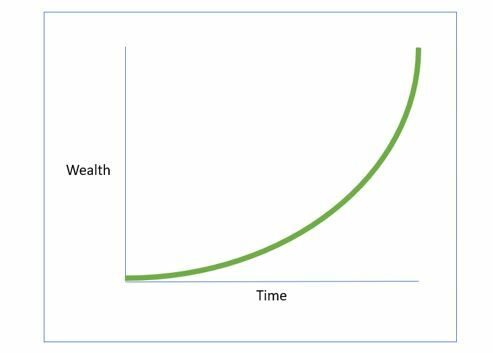 In other words, a person’s wealth timeline isn’t a straight line, but rather an upward exponential curve. Of course, there’d be a few blips here and there: a big medical expense, building an addition to your house, cashing out on a winning investment, getting a promotion, crashing your car, etc. So when folks bad-mouth boomers for having more wealth than millennials, it fails to resonate. To me, it comes off as good ol’ jealousy or misunderstanding economics. At the same time, there’s another side to this issue that does have some validity — historic purchasing power. Was life really easier back in the day? If you’re a baby boomer yourself, think back to when you bought your first house. Think about your house’s price and how much were you making. Compared to your annual income, how much did the house cost? Two? Three? Maybe four times your annual income? Economist Shamubeel Eaqub researched the housing market in the ‘50s and ‘60s and found that the average home was two-to-three times the average household income. Today, Interest.co.nz puts us at 6.28 times annual household income. In Auckland, it’s closer to 10 times. That means millennials are paying double what you paid in terms of labour-hours. ‘A man in 1978 only had to work about 1,000 hours to afford the standard model F-150 pickup truck. Today, he has to work 1,200 hours. Do millennials have a good reason to be jealous of baby boomers? On that account, sure. In 1958, a refrigerator cost 333 hours of labour. In 2015, a mere 39. In 1956, a clothes washer cost 138 hours of labour. In 2015, just 13. In 1950, an electric stove cost 292 hours of labour. In 2015, only 10. And heaven knows you’re getting a much better bang for your buck today. In 1950, they were inefficient, big and bulky. Today my stove is touchscreen with auto shut-off, energy-saving, and is about 7cm thick. So, in that sense, millennials are getting the better end of the deal. They own a wealth of technological assets that most boomers at their age could only dream of having. Talking about the ‘wealth gap’ in generational terms is nothing but a red herring. There are dozens of legitimate reasons for inequality, but blaming Grandpa for owning his home while you’re still renting is not one of them.